DISCOVERY BAY, CA, April 23, 2014 -- /EPR NETWORK/ -- If you’re over the age of 40, the odds are good that you’re either going to die of a terminal illness, or that you’re going to end-up caring for a family member or other loved one who will be diagnosed with one. Most people truly are NOT prepared to take-on the responsibility of becoming a care giver to a family member or other loved one, much less face the fact that any one of us may be afflicted with a terminal illness. When we are put in the care-giving position, we truly don’t know what to fully expect; what is considered normal or abnormal behavior as far as the bodily dying process is concerned, and basically, we truly don’t know what to do. After all, we didn’t learn about any of this stuff in school. 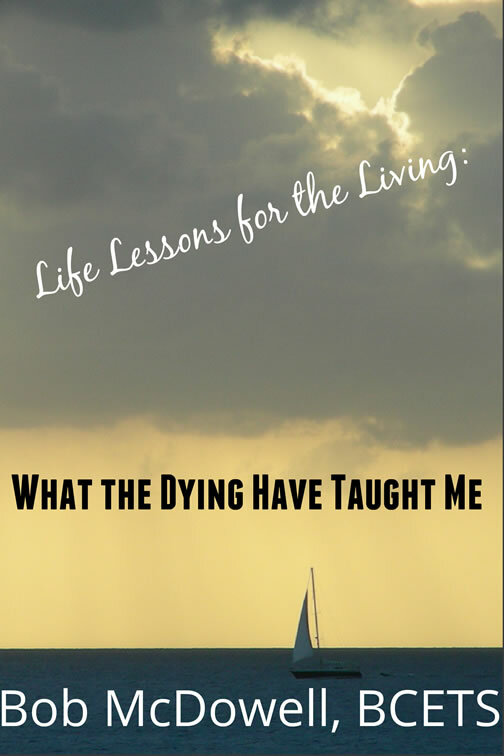 In this short digital book of approximately 29-pages which is available exclusively through Amazon-Kindle, the author educates readers about hospice and its many unique benefits, and then goes on to detail what might be considered “normal” in the bodily dying process while pointing out things that we specifically should and should not do in our position as a care giver, which are of great importance. The author also relates what hundreds of hospice patients have shared with him over the years as far as their deepest regrets and the most common fears which have been expressed to him. Some readers of this digital book may cause some to re-evaluate the priorities they’ve set for themselves which currently govern their daily lives. To preview and order this highly enlightening Kindle book TODAY for the small investment of only $2.99, click HERE.